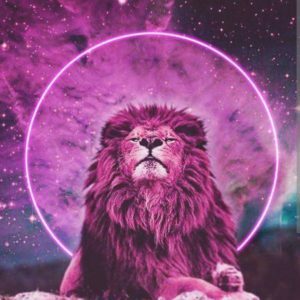 Hello Everyone, it is just a few hours past the Global Meditation following the Eclipse of August 21st , 2017, 28 degrees of Leo and Grand Fire Trine! It was amazing, the Frequencies that showed up prior to and during the Meditation. I was led to stay indoors and bring through the Violet Flame of Transmutation prior to the Global Unity Connection. I felt the Beautiful Frequencies of Joy and Heart Expansion. Clearly I was experiencing this Highest Potentiality of Light, being anchored through my Biofield deep within the Crystalline Matrix Heart of Gaia…! The Birds were uncannily silent during this time. Prior to the silence and my going to my Meditation area, I saw a red Male Cardinal perched near our feeders who was very vocal. The Archetypal Energies and message that the Cardinal brings is “Accept your Life’s Importance, Accept that you are a Being of Great Light and conduct yourself accordingly! All of my connecting within, whether it is arising in the Morning and before any Meditation, begins with Aligning with my “I AM” Presence, Divine Source Energy expressing through me as me. Some beings refer to this as your “Higher Self”, however we are here to Embody this Frequency in form, so for me, the way I direct my Energy in form is through the “I AM”! Any Being, Energetic Frequency that connects with me does so through this Frequency and Filter! I DO NOT work with Guides, my “I AM” Team is comprised of many Ascended Light Masters, Elementals, Crystalline, Galactic, Star Beings etc. Always in the Highest Frequency in all timelines EVER! (More will be shared on this in a future newsletter). Breathe and Know the Energy of Victory, for it is time on your Planetary System! I AM, I AM, I AM Metatron along with Michael, holding the Frequency Grids around your Planetary Systems. You have reached Critical Mass and once again Gaia will rise to her full Frequency of Ascension! The Global “EVENT” as it is called and you would know it as Ascension is upon you soon…sooner than you may know. You are being prepared within the Framework of this Celestial offering known as the “Eclipse”! Be at Peace, Be of ONENESS! 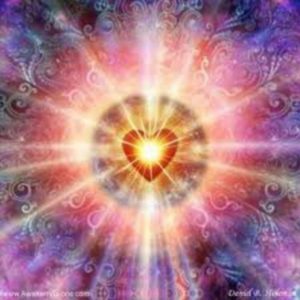 Hold the Love within your Heart, for your Heart is the very Chalice, the Grail, if you will, that these Frequencies are being anchored in for all StarSeeds, StarBeings, and Light Masters! Hold Sacred Space for the Nature Kingdom, the Elemental Kingdom all of Humanity as they rise into their full Expression of the Divine “I AM”…. Blessings of Joy, Sovereignty, Abundance for All!